The pace of digital evolution in 2013 truly is staggering—not a week goes past without a new smartphone app, social network or piece of technology being heralded as a “game changer”. As communications specialists that operate in a digitally connected world, how do we manage the relentless advent of “new” for our clients? Being a digital strategist, one of the most fundamental differences to recognise when discussing digital and social is between strategy and execution. Many new technologies offer superb opportunities for creative execution—helping to enhance and amplify a communications, brand or promotional campaign. But the same executional opportunities may not have any “strategic” opportunities—and that distinction is so important for us to make to our clients and in the work we produce. Take Snapchat for example. A “phenomenon” that has exploded around the world, it’s an app that allows users to take a photo or record a video message and send it to a contact. Upon receipt of the message, recipients have only 10 seconds to view the message before it is deleted—forever. In a social world where so many people are so careful to project a certain, idealised image of themselves, Snapchat injects some fleeting fun back into social interaction. The vital thing to consider here is the difference between the fundamental ways in which people communicate, versus fleeting social media “fads”. With Snapchat, does this app fundamentally change the way that we communicate? Not enough, in my opinion. Instagram, however, ushered in a completely new era of mobile-based, photo-only sharing. The difference between the two? Instagram changed the way that we interact and engage with mobile photo content—it reflects the need for strategic recognition. 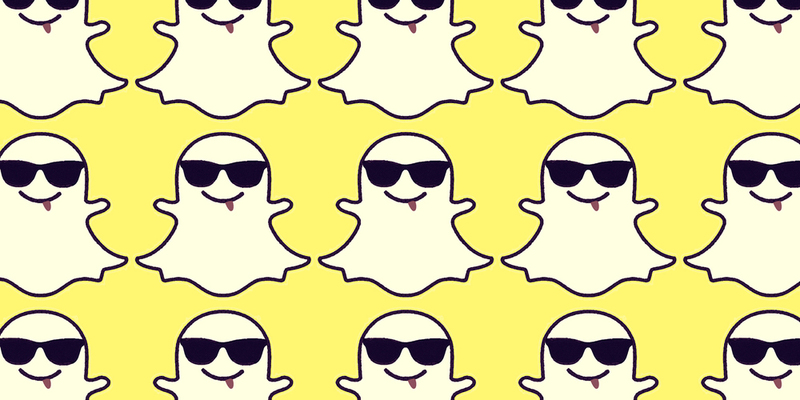 Snapchat remains a “sub-fad”—an executional variant of a wider trend in mobile image-sharing. Some brands have been quick to utilise Snapchat. Taco Bell, for example, has experimented with the platform, as has yoghurt brand 16 Handles. But it’s important to note that, even when brands such as Taco Bell are playing with new technologies, this is still part of a wider strategic “test and learn” strategy. All executions on emerging mobile and digital platforms still remain aligned with agreed-upon communications messages, rather than seizing a new piece of technology and wondering what they can do with it, purely for the sake of being seen on the “latest new toy”. So from an overarching strategic communications perspective, it is so important to look at target audiences and consumers and look at how they are communicating, rather than trying to retrofit new technologies into a communications strategy. In a recent client project for Coca-Cola, I worked closely with my colleagues to focus exactly on exactly how European shoppers are using their mobile phones in grocery stores. Focusing on the way that people use these tools, we were able to deliver a strategy that recognised the strategic way that people use digital. It was only after the establishment of the strategic digital behaviour that we were then able to make informed recommendations for executional activity, in which we can then look at which tools to best utilise. We will always be asked by clients, colleagues and suppliers about new apps, social networks and social technologies. And whilst many of the latest “fads”—like Snapchat—may well provide some tactical opportunities for certain brands, focusing on the overall communications strategy is so much more important than trying to ride the crest of a wave and shoehorn the latest fad into client work, just because it’s the “next big thing”.